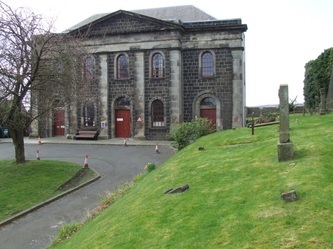 A church was first created on this site in the 1740s when Rev Ebenezer Erskine and some like-minded colleagues broke away from the Church of Scotland to establish their own church which soon had congregations across Scotland. 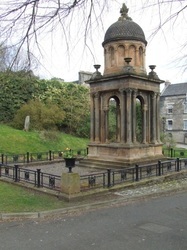 Later in the nineteenth century those Scottish congregations amalgamated with other Presbyterian denominations. But in North America the Associate Reformed Presbyterian Church has some 200 congregations and claims a direct link to Erskine. 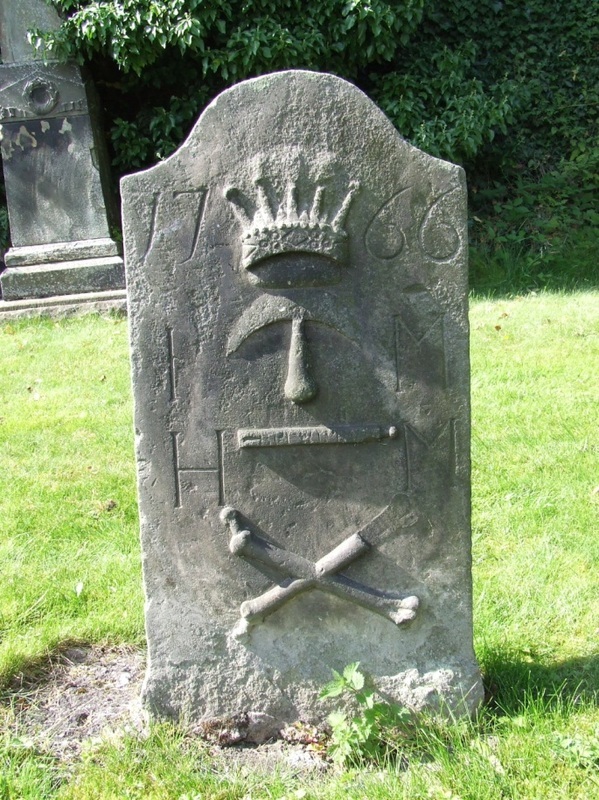 Gravestones dating from the later eighteenth and early nineteenth century mark burials of the former congregation. 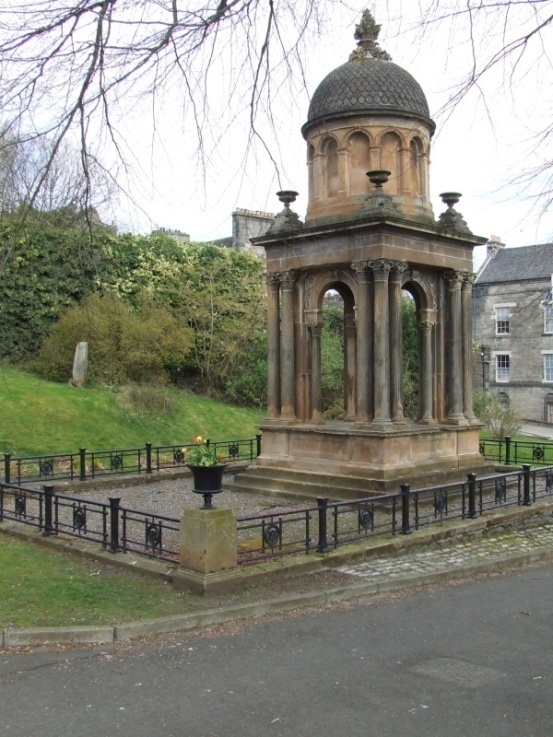 But the site is dominated by the Ebenezer Erskine Monument, erected in 1859 on the site of Erskine’s own burial. 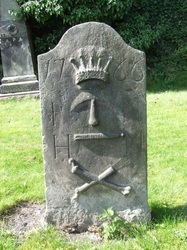 Gifford, J. and Walker, F.A., 2002. Buildings of Scotland; Stirling and Central Scotland, Yale UP, p 700.